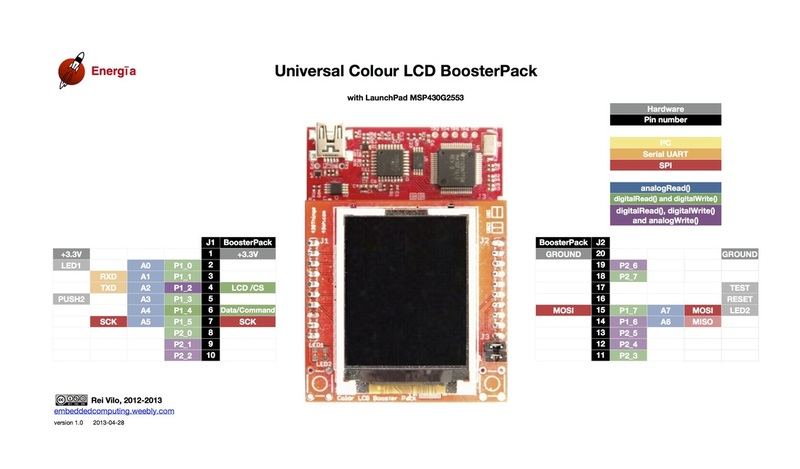 This Color LCD Booster Pack has been designed by Rob and is available at the 43oh store. It features a JD-T1800 LCD 128 x 160 pixels screen with 256K colours. Connection is done through SPI, software or hardware, and uses 2 additional pins only to be added to the SPI pins. 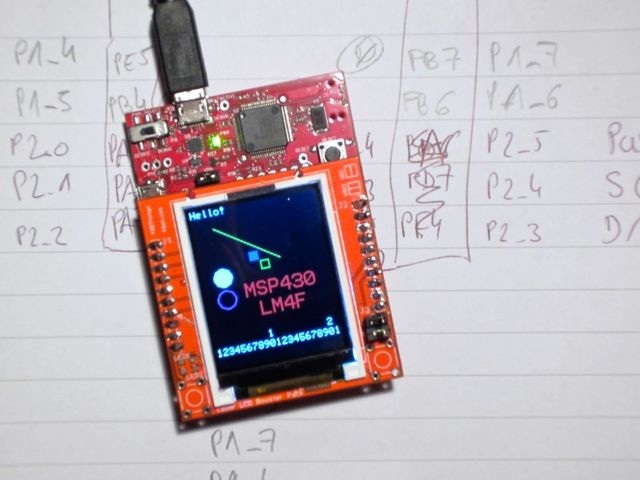 It works easily on the LaunchPad MSP430 and Stellaris with the LCD_screen Library Suite. Jumpers allow to select between USI SPI connection for MSP430G2452 or USCI SPI connection for MSP430G2553. The board is ready for optional two LEDs and two push-buttons. The only drawback was that serial port pin P1_2 was used for Screen Chip Select. This was fixed on version 2.